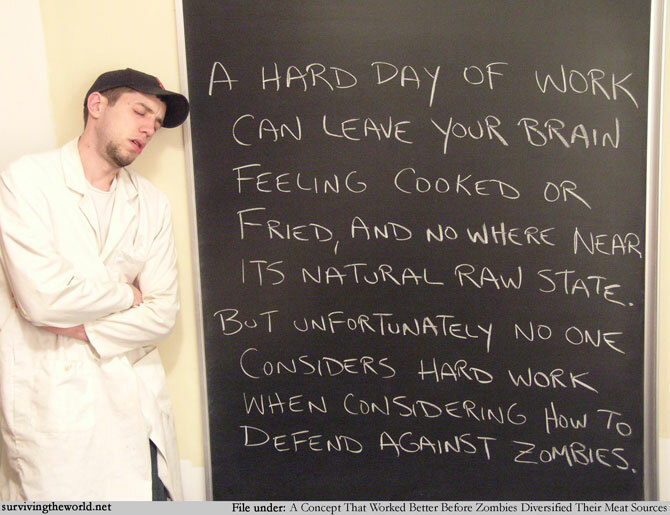 I am sure that there are people who immediately jumped back into preparing their defenses against a zombie apocalypse after the Rapture never came to pass. I'm not sure who scares me more, these people or people who thought the Rapture was bogus since a zombie apocalypse is far more likely. Meanwhile, why isn't hard work in these peoples' arsenals? Or is that just too obvious of a solution to the threat represented by a horde of creatures that still only exist in folklore, myth, and horror stories?